​Research on development of antisocial behavior in childhood and adolescence has concluded of the inci-dence of different types of social and family risk factors, and of individual characteristics, which act cumulatively in the etiology of this disorder. 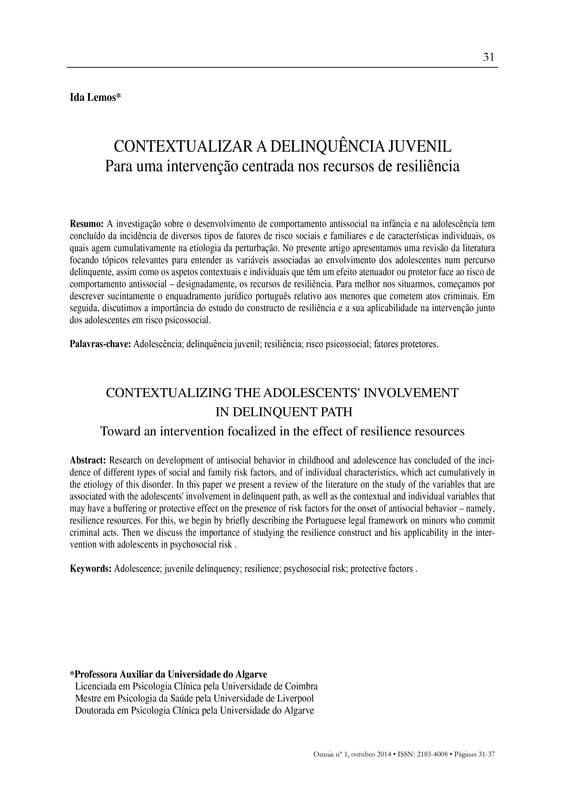 In this paper we present a review of the literature on the study of the variables that are associated with the adolescents' involvement in delinquent path, as well as the contextual and individual variables that may have a buffering or protective effect on the presence of risk factors for the onset of antisocial behavior - namely, resilience resources. 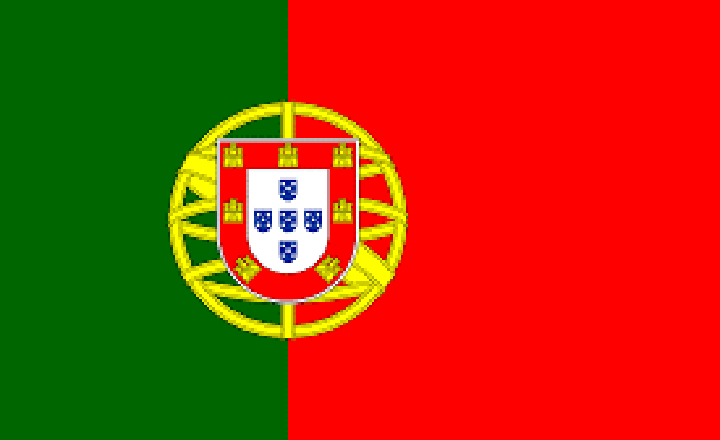 For this, we begin by briefly describing the Portuguese legal framework on minors who commit criminal acts. Then we discuss the importance of studying the resilience construct and his applicability in the inter-vention with adolescents in psychosocial risk.